There is a sea change in the way people shop today. The days of going across to the physical stores are literally over. Statistics are overwhelmingly in favor of online purchases. In fact, 97% of the searches over the internet are local searches. More than 75% of the people search online for products and services. There is a tremendous demand for online sales, but the supply is surprisingly less with only 35% of all local businesses listed online. Hence, it provides a great opportunity for all businesses to enter the online market in a huge way. Let us look at Top 10 Simple but Popular SEO Tools that can propel your ranking right to the top of the local SERPs. Announcing your local presence to the world at large is one of the prime responsibilities of any business concern. The best way to do so is to have a presence in all online local directories in its niche. At the same time, it is also imperative for the website to have its citations right. Tribe Local can help you in this regard by getting you access to over 100 directories that include the big guns like Google, Facebook, and Yelp. They ensure consistent and accurate citations as well. If you want the best in the business, you have to pay for the same. SEOProfiler can lay claim to belonging to this category. This is one of the most powerful SEO tools to invest in. You get a website audit tool, page optimization, and link disinfection tool that has the capacity to identify bad backlinks and eliminate them. This tool enables you to identify strong local keywords thus helping your website rank at the top of the SERP. Managing local listings is one of the prime areas of concern for any local business. Moz Local allows you to claim and verify local listings. This tool can also scan through the citations and apprise you of the errors. Thus, you can take immediate action to rectify them and improve your local SEO performance. The best part of this tool is that it is affordably priced. Optimizing your local SEO is very important for its overall success. SEOPressor is the perfect tool that helps in notifying the pages you need to optimize. This tool evaluates your site’s overall strength. It also provides guidance and recommendations for improving the local SEO. Hence, this has proved to be one of the best SEO tools for small businesses. When you have a collection of tools, it is always better to have them. We have seen one such example in Tribe Local. BrightLocal is another such collection of tools that serve a variety of purposes. This tool helps you in finding out the position of competitors and monitor online reviews. This tool compares your rankings against your competition on three major search engines. Furnishing accurate NAP information is essential for local SEO. Synup allows you to submit accurate NAP to local directories. This helps you in analyzing your listings and NAP information. This comprehensive tool checks listing for any existing citations. Fixing incorrect citations is easy with this tool. Hence, it is extremely useful for local SEO. This is an organizational tool that can help to boost your local SEO ratings. You get 40 options whereby you do specific tasks to optimize your website. This helps you to improve your ranking. You develop your blogs and on-page SEO using this checklist. Social media engagement can also be optimized using this tool. Broken links can hurt your SEO rankings like nothing can. It plays a great part in plummeting of your ranking. Screaming Frog is the perfect tool to help audit your website and index your website’s HTML data. Thus, it identifies the broken links that hurt your SEO. A free version is a great tool, but if you wish to get advanced features you can opt for the paid version. Keywords are essential for great content. Hence, you need a strong tool to identify the most popular keywords and keyword phrases. You will not find a better one than Google Adwords Keyword Planner. This tool performs the additional task of conducting research based on geographic regions. Hence, this is one of the most perfect tools for local SEO. Backlinks play a great role in the SEO rankings. With the introduction of Google Penguin Algorithm, Black Hat SEO has become a virtual evil. Ahrefs is the right kind of tool to determine the right kind of backlinks. It enables you to see how strong the backlink strategy is. You are also able to check the strength of your competitor’s backlinks. The only drawback is the high price, but it is worth the price when you consider the service it provides. There are many other digital media marketing agencies operating worldwide which you can also search on the internet like Navads, a company that specializes in Local Listing and Google My Business management, and in Local Search. You can choose any reputed agency online if you can't find one in the offline market. 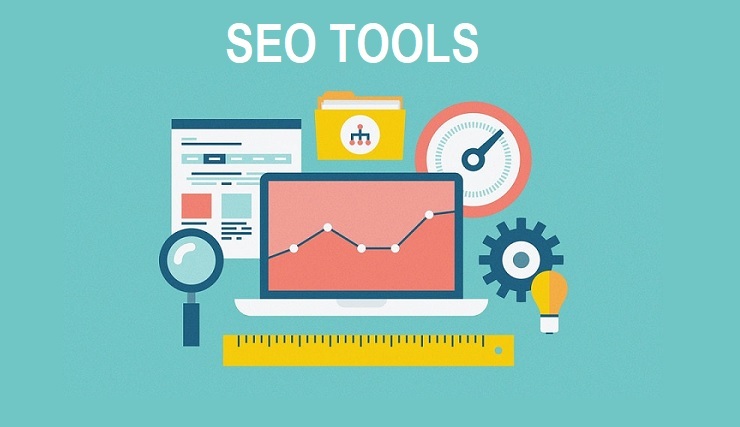 We have seen Top 10 Best SEO Tools that can help your website ace the rankings. There are hundreds of more tools available in the market. However, these then tools have proved their popularity.